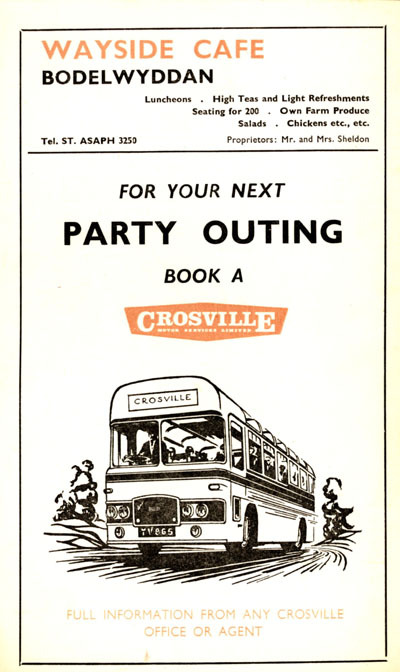 Crosville has produced lots of publicity in various styles over the years. 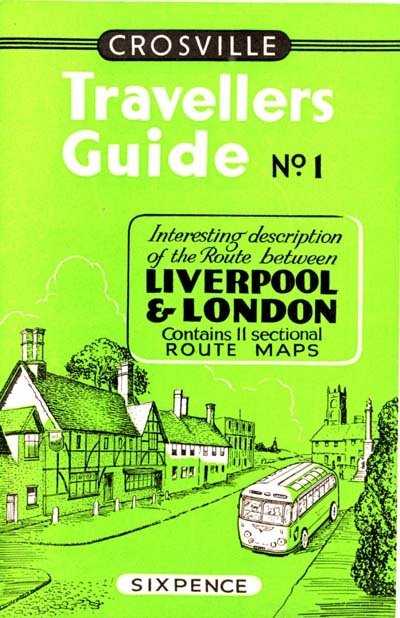 This page shows some examples, however it is not intended as a comprehensive guide. 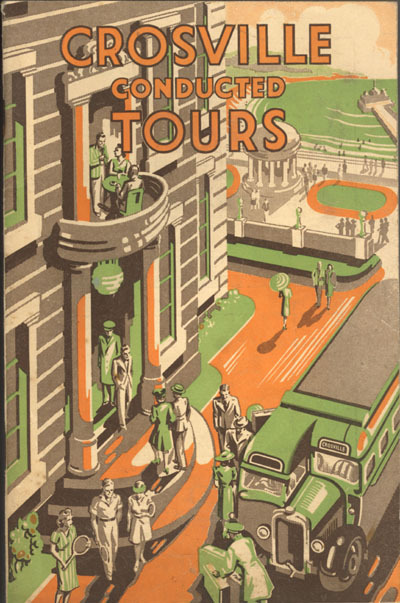 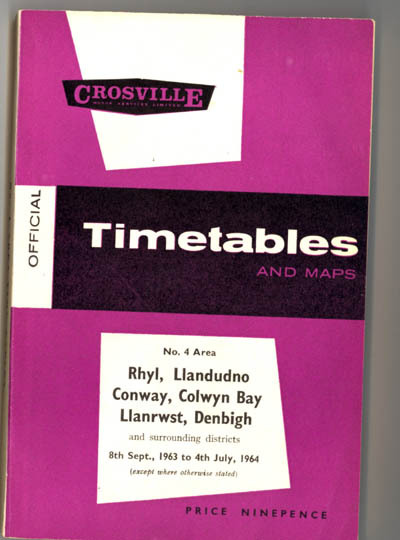 The timetable booklet changed size and style many times over the years, these are from 1940s and 1950s. 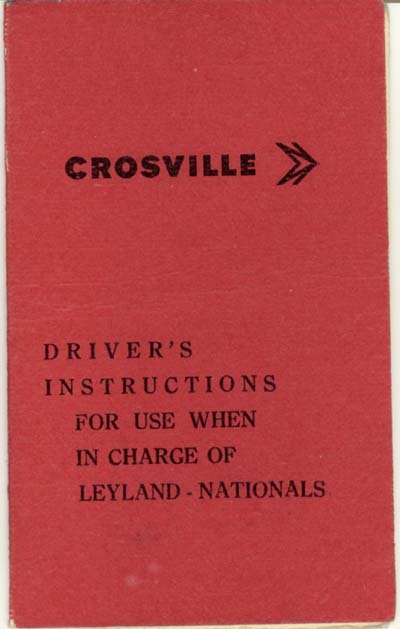 During the 1960s Crosville tried several different styles, using different colours for different areas. 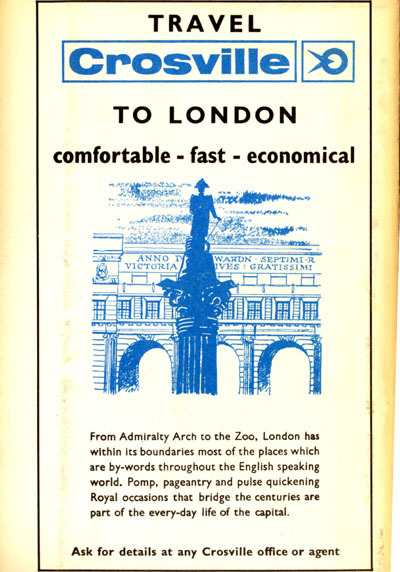 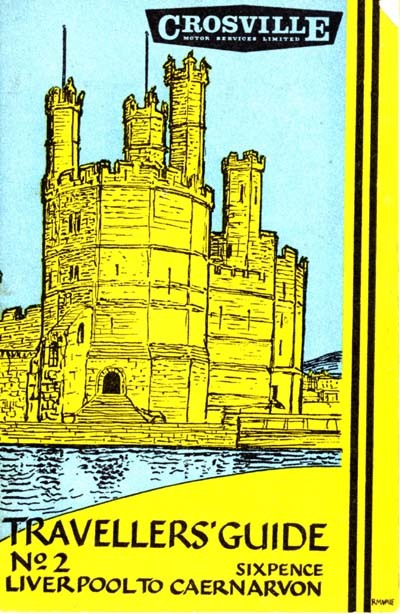 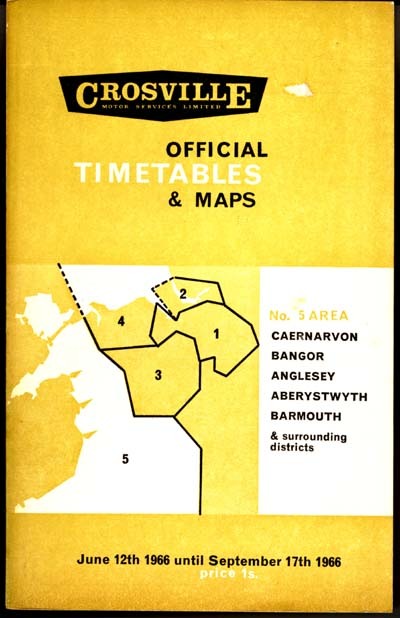 A different style was used between 1965 and 1967. 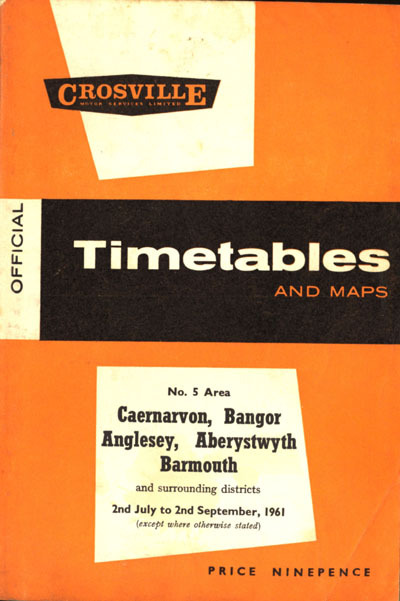 A new style appeared for 1968 and 1969. 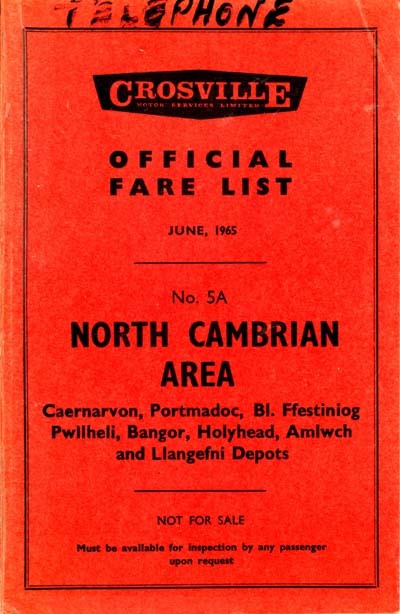 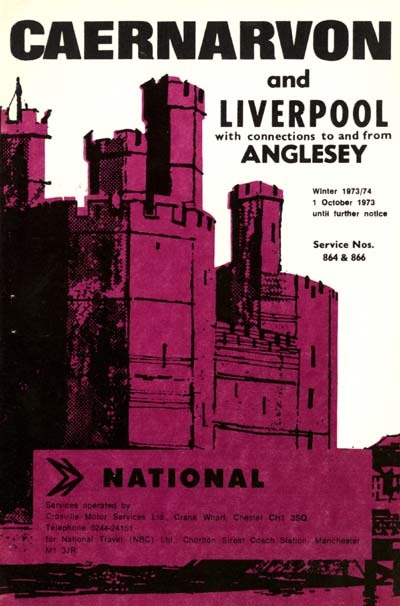 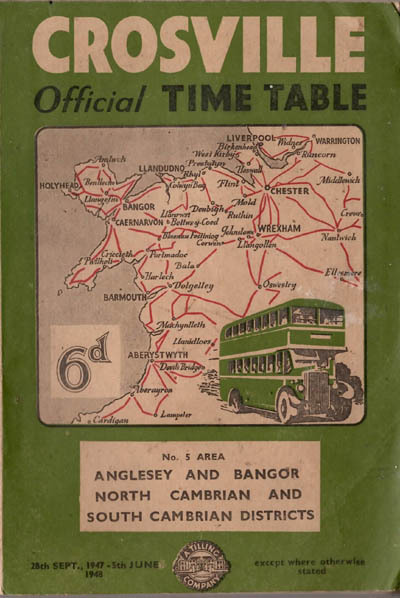 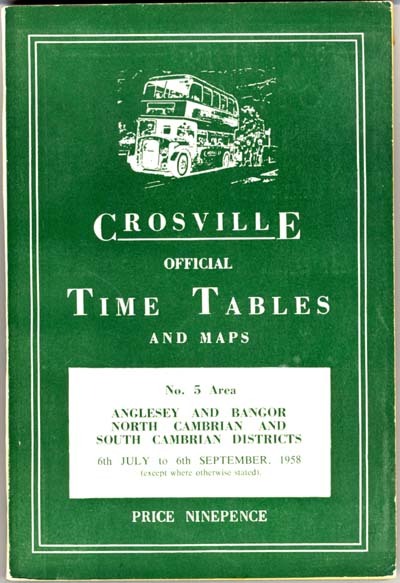 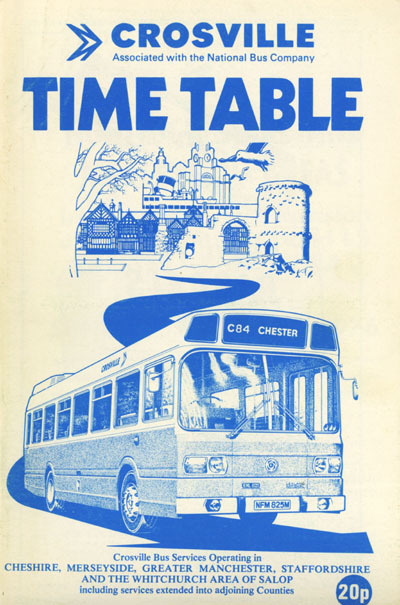 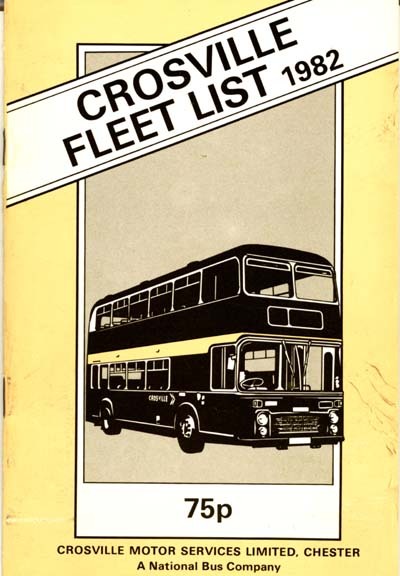 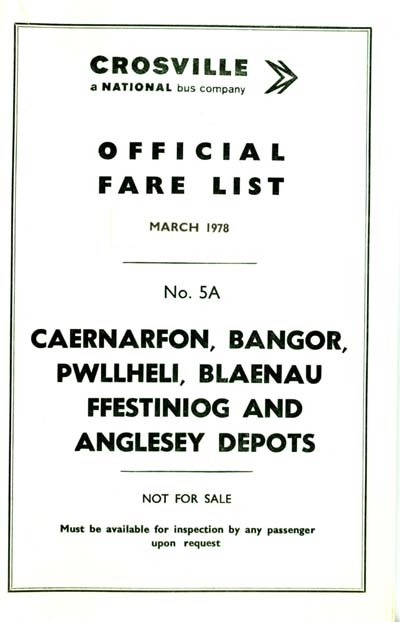 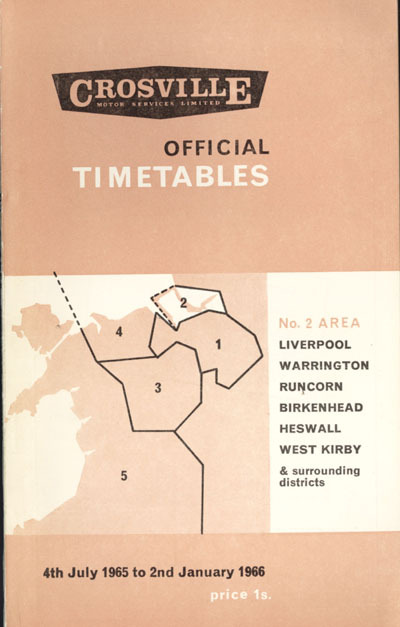 In 1969 Crosville switched to the new National Bus Company (NBC) standard style for timetable booklets. 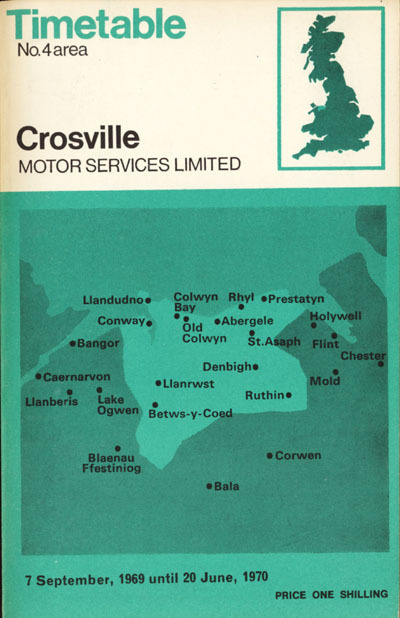 However Crosville only followed this until 1974. 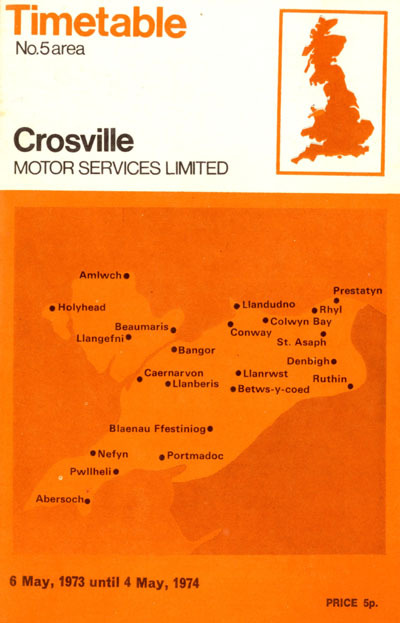 Dispite still being part of the NBC, Crosville used it's own designs again from 1975 onwards. 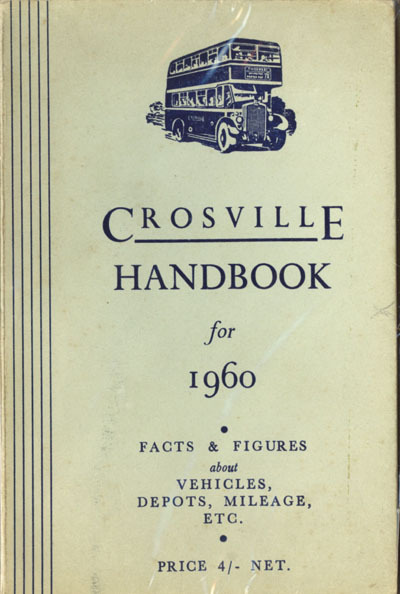 Crosville produced a fairly bulky 'handbook' for many years. 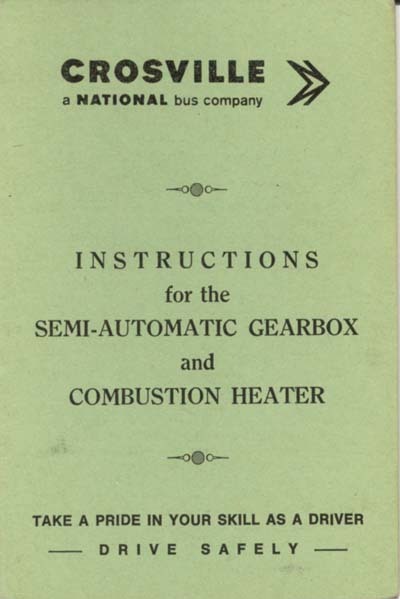 With the coming of the NBC the handbook changed into a small fleetbook. 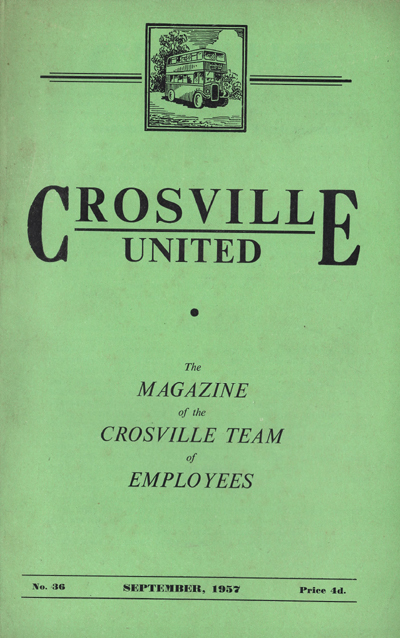 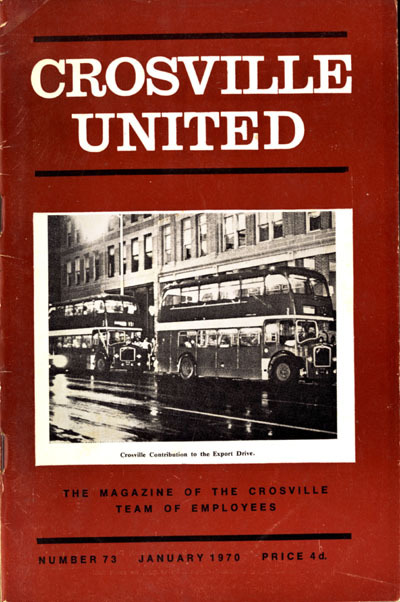 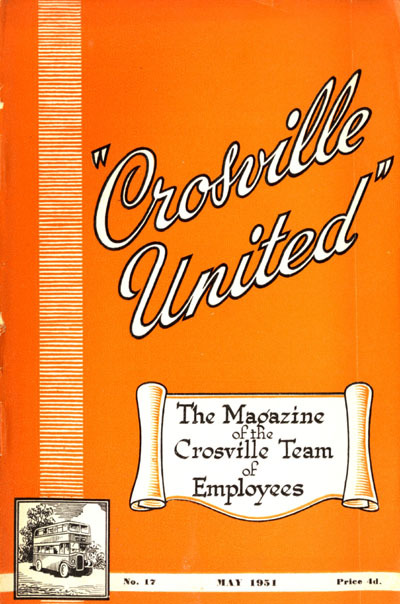 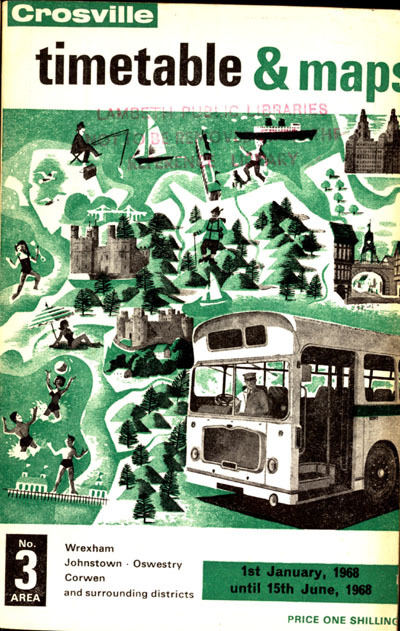 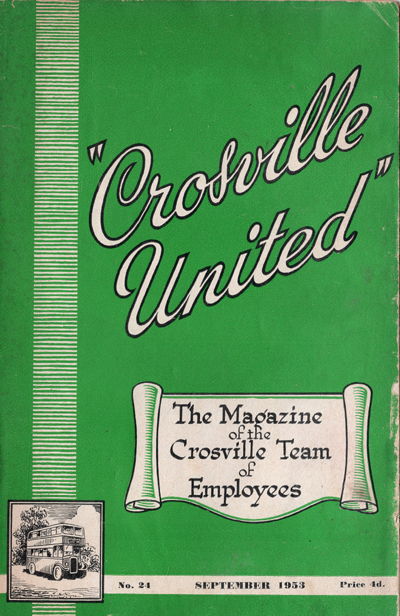 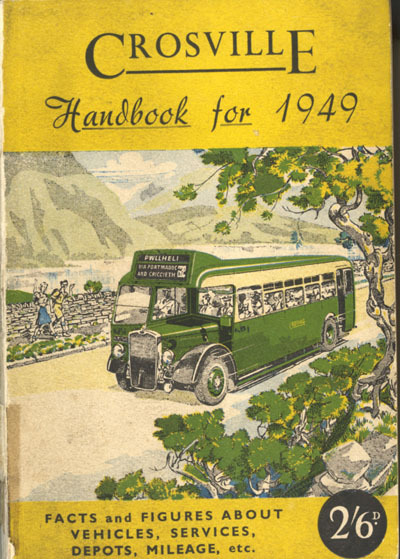 'Crosville United' was a staff magazine produced three times a year from Jan 1946, copies were also available for purchase to allow the handbook to be updated. 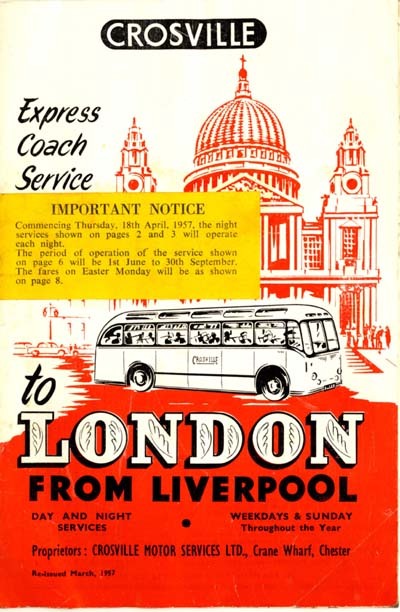 A new style appeared in 1957 and the design was changed again in the early 1960s. 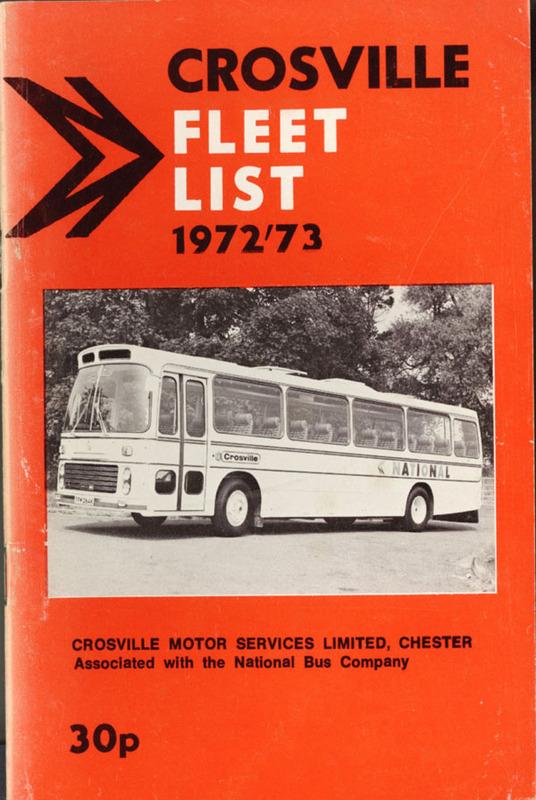 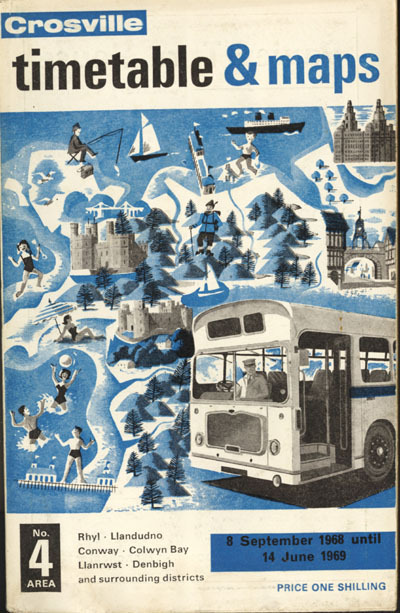 For it's most popular coach services Crosville produced route guides. 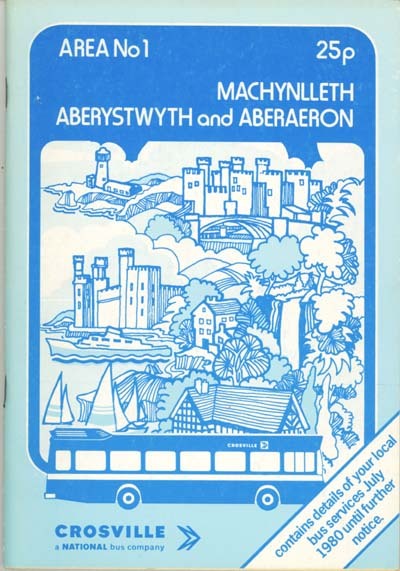 Many different rule and instruction booklets were produced over the years.